Sarah Hillyer is an international sports consultant with more than twenty years of experience. She works to promote peace, empowerment, and diplomacy for girls, women, refugees, and persons with disabilities around the world. Hillyer has worked in more than fifteen countries on four continents, with the majority of her efforts spent developing sports programs with Muslim women in the Middle East. The 2009 Eva Mag’s Woman of the Year and the 2011 Generations for Peace Post-Doctoral Fellow, Hillyer is recognized as one of the leading practitioners in the field of sport for development and peace. 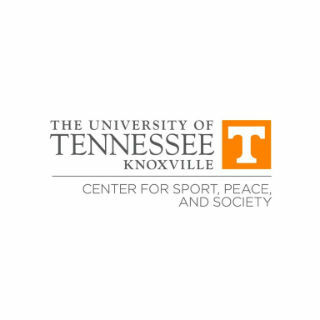 At the Center for Sport Peace and Society, Hillyer writes grants, crafts curriculum, and develops applied research projects that promote peace and inclusivity for all through sport. She also serves as the lead coordinator on the US Department of State’s Global Sports Mentoring Program initiative, which has hosted more than 400 youth athletes, women’s empowerment and disability rights advocates from more than seventy countries on sports-based exchanges. Hillyer received her PhD from the University of Tennessee in sport sociology and also a master’s degree in sport psychology from Murray State University. Hillyer completed her undergraduate work in sport management at Liberty University, where she also played basketball. Caroline is a Former American Competition Swimmer who represented the United States at the 2004 Summer Olympics. She competed in the preliminary heats of the women's 200-meter Breaststroke. After the 2004 Olympics, Caroline attended Stanford University, where she competed for the Stanford Cardinal Women's Swim Team, specializing in the Breaststroke & Individual Medley Events. Caroline was the 2005 NCAA Champion in the 100 & 200 yard Breaststroke, & received 13 ALL AMERICAN HONORS during her college career. These victories complemented her 1st National Championship, which she captured in the Summer of 2003 in the 200-Meter Breaststroke in College Park, Maryland. Caroline was also a member of the U.S. Team for the 2005 World University Games, as well as the 2000 U.S. National Junior Team. Caroline is a 2004 Graduate of Trinity Academy in Wichita, Kansas. While attending Trinity she won 13 Kansas State Titles, thus tying the record number of wins by any Female Swimmer in the State of Kansas. After High School, Caroline went on to attend Stanford University, where she graduated with a B.A. and M.A. in Communications. She married Thomas McAndrew, a member of the Stanford Cardinal football team, and have three wonderful children that keep her very busy. Jenné Blackburn is the Founder of Always An Athlete® and Ball2Bike®. Jenne' was born and raised in San Juan Capistrano, California, Jenné grew up playing competitive sports & her focus at that time was towards Volleyball. She played Volleyball in both High School as well as Club Teams throughout her youth. She became the first member of her family to attend College, playing Volleyball at Baylor University in Waco, Texas. Since Jenne' graduated, she has remained active in the sports community in Southern California. Professionally she represented both men and women Olympic Athletes at ATHLETE MGNT. 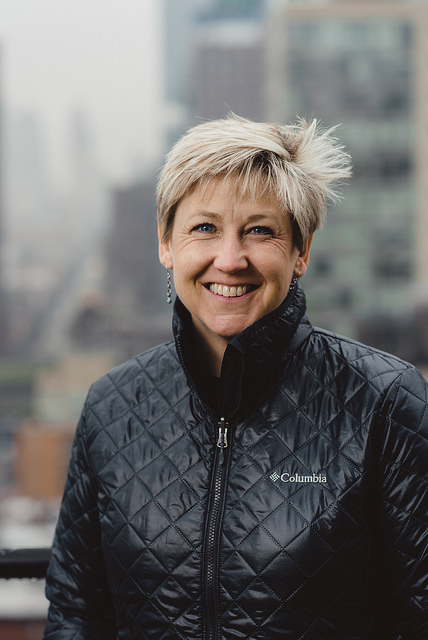 Most recently Jenne' has served on the Board Of Directors as well as the Founding Executive Director for the Give It Back Foundation, a Community-Driven, Non-Profit Organization founded by members of the U.S. Volleyball National and Olympic Teams. Jenne' most recently joined the Executive Leadership Council for Play Like A Girl, a Non-Profit Organization dedicated to advancing the health and empowerment of women and girls through Sport & Physical Activity and Positive Coach Alliance. PCA brings the power of positive to youth sports in the Los Angeles area through live workshops and online resources in partnership with local schools and youth sports organizations. With a undergraduate background in Film and Television, Jenne has continues to develop advocate for equality on screen helping to lead the Community Development arm of the Women’s Sports Film Festival and is currently developing children’s book series Shelly Bean the Sports Queen onto the big screen. The mission of SBTSQ is to explore the life lessons learned through sports participation such as teamwork, perseverance, and friendship with a strong female at the center of the action. In her free time, Jenné enjoys exploring new parts of the world, staying involved in her local entrepreneurship community, and of course, riding her bike! Join the team moving the conversation forward. Male or feamle, we are looking for athletes who are passionate about bringing the conversation of "what next" to the forefront of the media culture.